The department says it will examine all federal use of fetal tissue for research. A group that waged war against Planned Parenthood with carefully edited videos was celebrating Tuesday after the Trump administration said it was terminating a contract with a lab that provides fetal tissue for research. The Health and Human Services Department also said it would review all federal contracts for obtaining fetal tissue, which is used for work in developing vaccines, as well as for research into diseases such as Zika. HHS said it was terminating a contract that Advanced Bioscience Resources Inc. had with the Food and Drug Administration for supplying fetal tissue for research purposes. 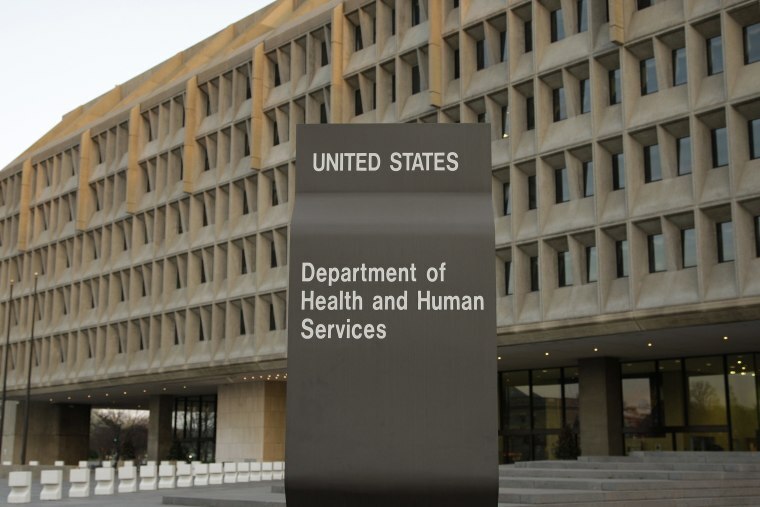 “HHS was not sufficiently assured that the contract included the appropriate protections applicable to fetal tissue research or met all other procurement requirements,” the department said in a statement released Tuesday. Planned Parenthood Video Raises Question: Why Use Tissue From Fetuses? It’s a victory for groups that have campaigned against any use of fetal tissue in research. In 2015, an anti-abortion-rights group called the Center for Medical Progress caused an uproar when it released a series of videos that it alleged proved that groups including Advanced Bioscience Resources were buying fetal tissue from Planned Parenthood to sell for a profit. Members of the group were disguised as Advanced Bioscience representatives, and tried to encourage the legitimate Planned Parenthood representatives to admit to making a profit off the tissues supplied from aborted human fetuses. The videos were carefully edited, however, and the group also released a full version and a transcript of one video that showed the opposite: the Planned Parenthood official shown was speaking carefully against any idea of making a profit off the tissues. California authorities charged the pair who made the videos with invasion of privacy in making the secret recordings. The case is still awaiting trial. The House and Senate, both controlled by Republicans, launched investigations. At the time, HHS defended the federal government's use of fetal tissue, saying it “continues to be a critical resource for important efforts such as research on degenerative eye disease, human development disorders such as Down syndrome, and infectious diseases, among a host of other diseases." President Barack Obama was in office in 2015. But last year, the Department of Justice, now part of the Trump administration, asked for details from some of the congressional investigations. And last week, 85 members of Congress wrote FDA Commissioner Dr. Scott Gottlieb to question the contract with Advanced Bioscience. “We are alarmed that the FDA has continued to award contracts to ABR for the procurement of human fetal tissue,” the lawmakers wrote in their letter. The other federal user of fetal tissue could be the National Institutes of Health, but a spokeswoman said the NIH had no current contracts for any supply. "We agree that it is important that research involving human fetal tissue should be consistent with the statutes and regulation governing such research, and reminded NIH-funded institutions that awards are conditioned upon compliance of all applicable federal, state, and local laws and regulations," she added. The Center for Medical Progress was delighted by the HHS move. “HHS’s newly announced review of fetal tissue procurement and experimentation must be exacting, and it must terminate all other agreements for baby body parts with ABR, StemExpress and similar business partners with Planned Parenthood and the abortion industry,” the group said on its website. The health department said it would review policies on the use of fetal issue in research and would look for alternatives. “In addition, HHS has initiated a comprehensive review of all research involving fetal tissue to ensure consistency with statutes and regulations governing such research, and to ensure the adequacy of procedures and oversight of this research in light of the serious regulatory, moral and ethical considerations involved,” it said. Scientists who work with fetal tissue stress that it is essential for scientific discovery. “Fetal tissue remains a critical resource to further researchers’ understanding of how human tissues develop and are affected by disease,” Thomas Baldwin, president of the Federation of American Societies for Experimental Biology, wrote in a letter to Congress last September. “Critical scientific advances — such as the development of vaccines against polio, rubella, measles, chickenpox, adenovirus and rabies, and treatments for debilitating diseases such as rheumatoid arthritis, cystic fibrosis and hemophilia — depend on research using fetal tissue."